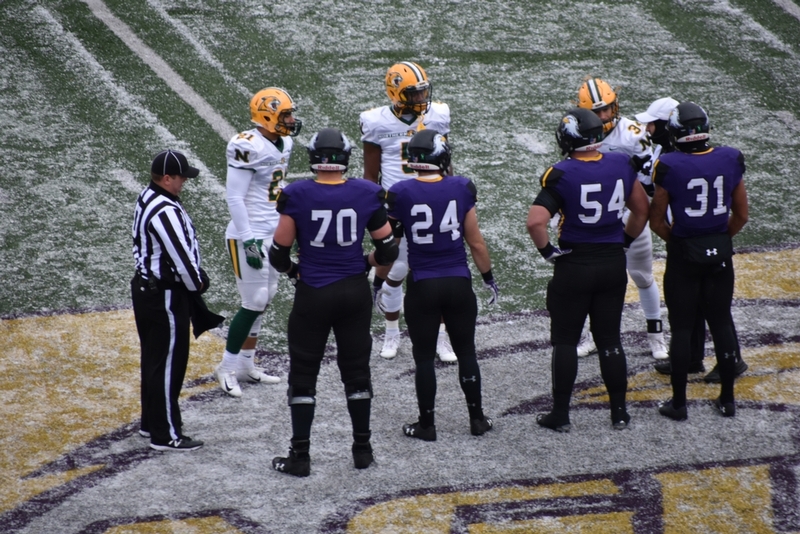 ASHLAND, Ohio---The Northern Michigan University football team lost its season finale on Saturday, 41-7, to the Ashland Eagles in Ohio. 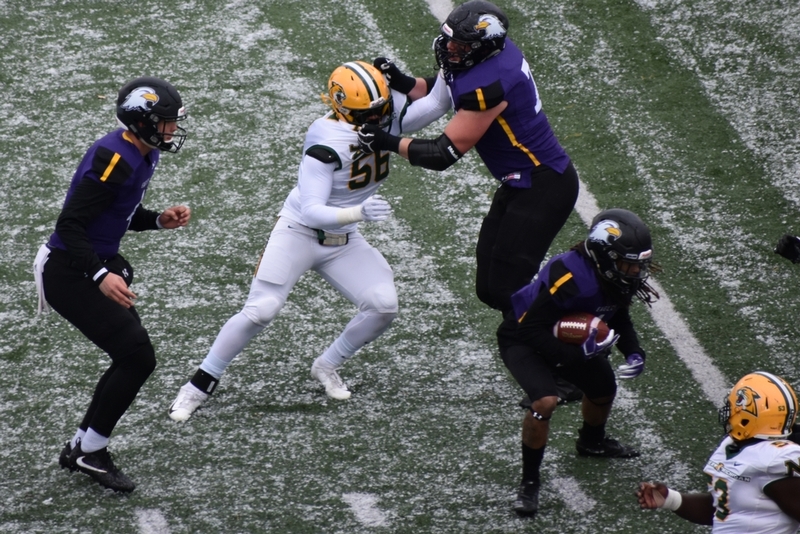 The ‘Cats committed five turnovers and several personal foul penalties, and the offense had just one first down in the first half. 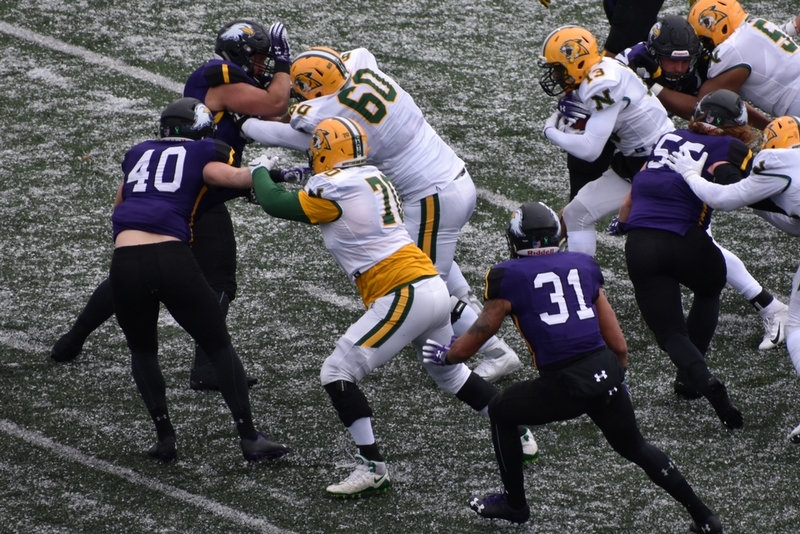 “We had way too many turnovers, and their defense was just so dominant, we really struggled,” NMU Coach Kyle Nystrom said. 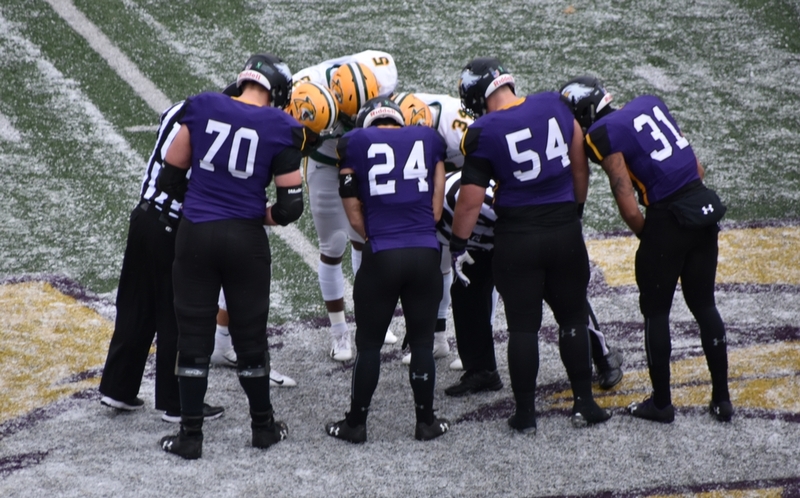 “We took too many penalties, and the little altercation that occurred between the two teams in the first half kind of got us out of our ‘let’s play football’ for two long. 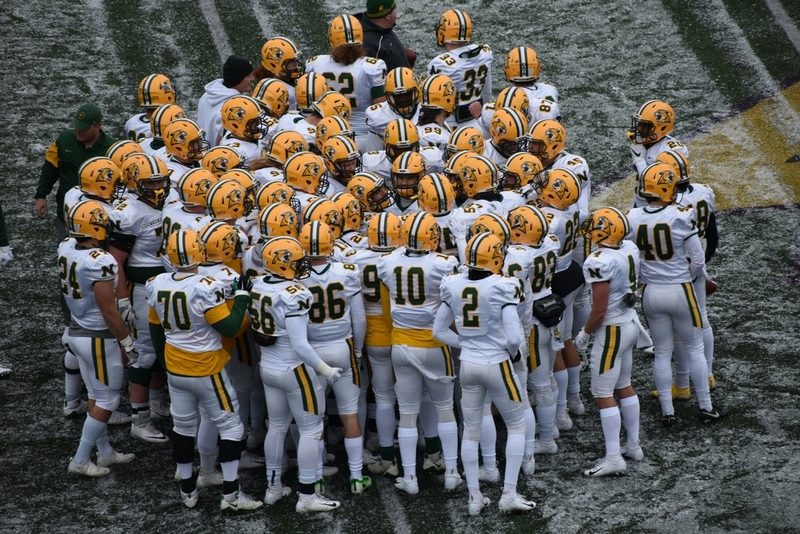 It took me about ten minutes to get them locked back into football again." "It’s just a case of youth and immaturity mentally. We’ll get above that as we move to the future and develop,” he added. 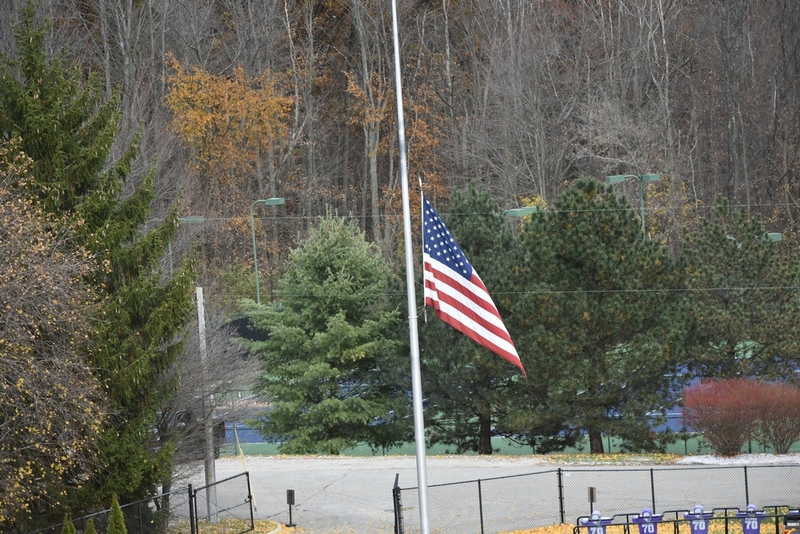 Each team had a player ejected in the incident. 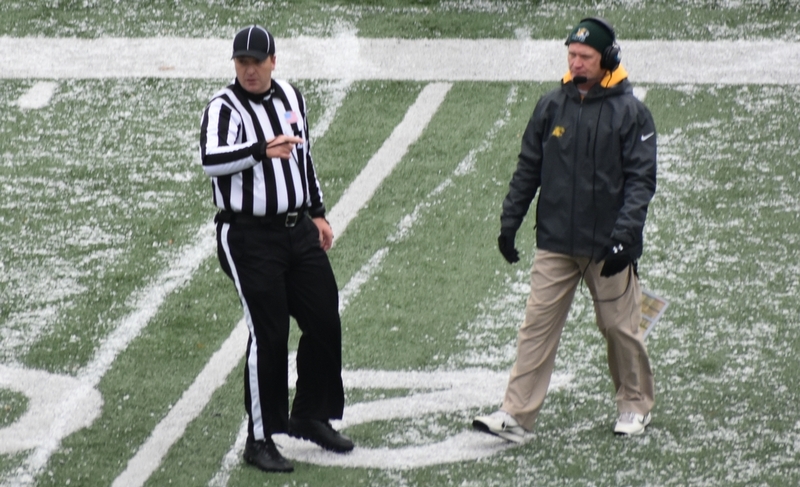 Also in the first half, the Wildcat sidelines got a 15-yeard penalty when they objected to a fumble call after receiver Michael Alkinade appeared to be down after making an eleven-yard catch. 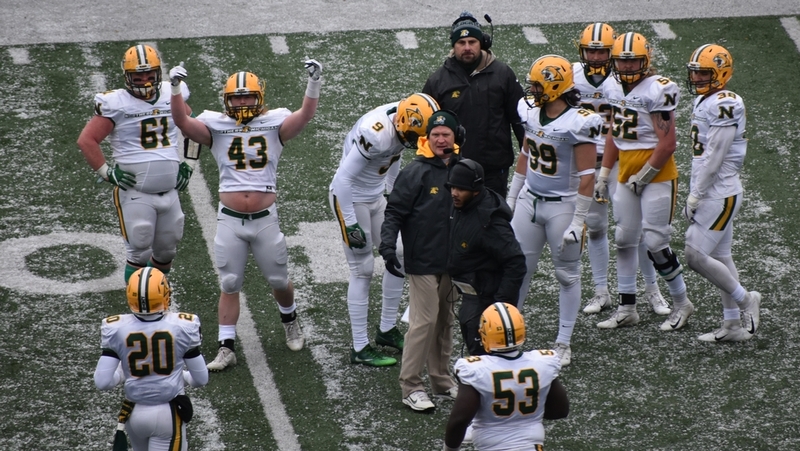 One bright spot for NMU was senior running back Jake Mayon completing a successful career by rushing 25 times for 94 yards and the team’s only touchdown. 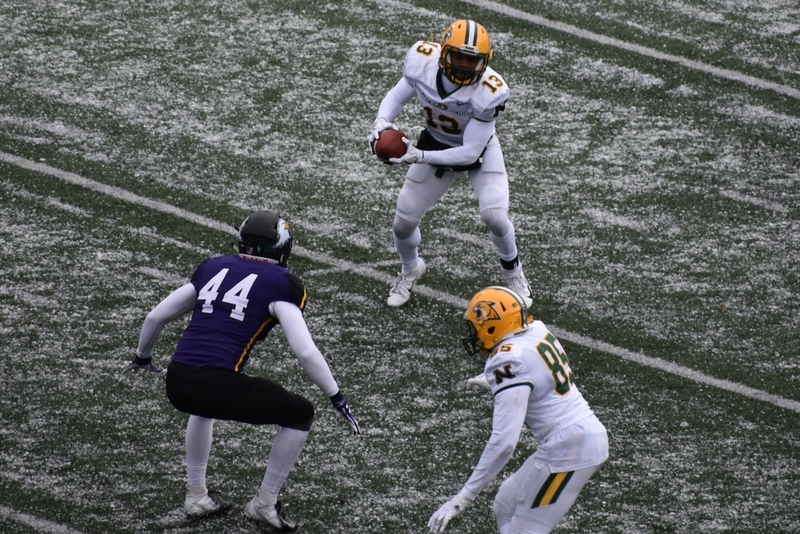 Mayon already owns the NMU record for career rushing yards, and on Saturday, he broke the single-season rushing record that was set by Nelson Edmunds in 1991. Edmunds ran for 1,469 yards that year. 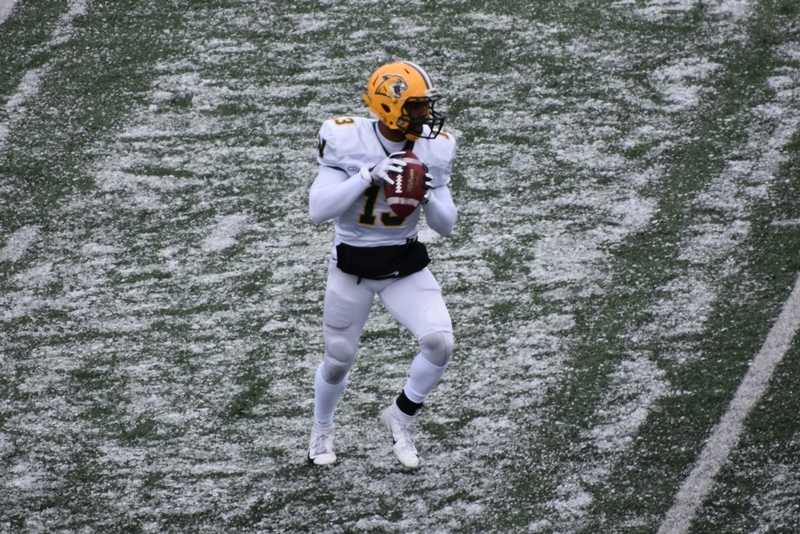 Mayon ended up with 1,503 yards this season, and 4,220 yards for his career. Nystrom says that Mayon earned every inch he got on Saturday. 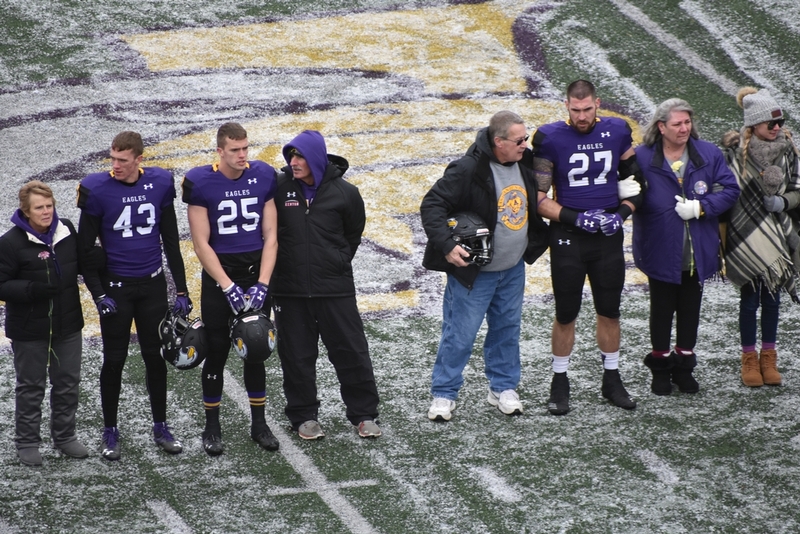 Ashland quarterback Billy Bahl threw four touchdown passes, to four different receivers. 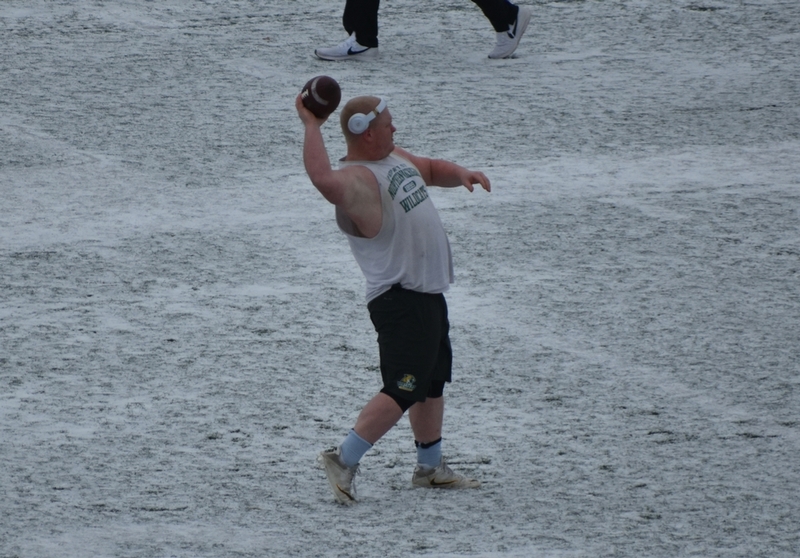 The Eagles led, 27-0, at halftime, and substituted freely in the fourth quarter. 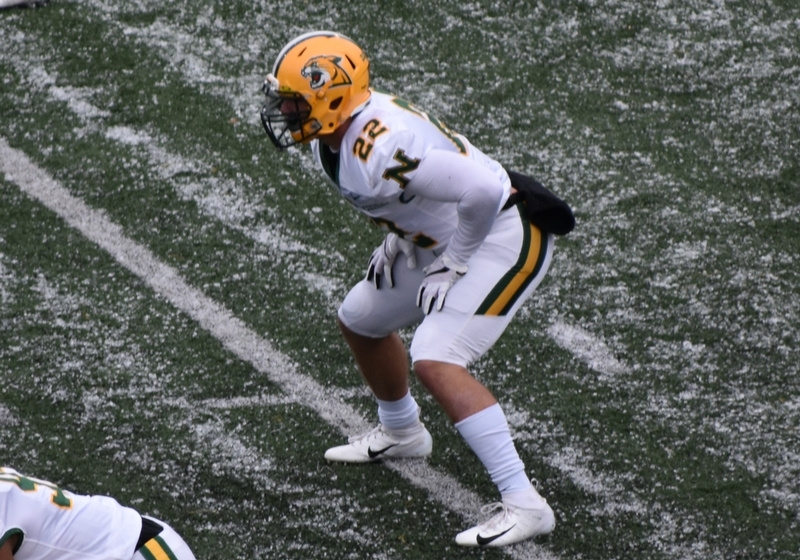 NMU’s Ben Loutsis had 123 yards in returning four kickoffs. 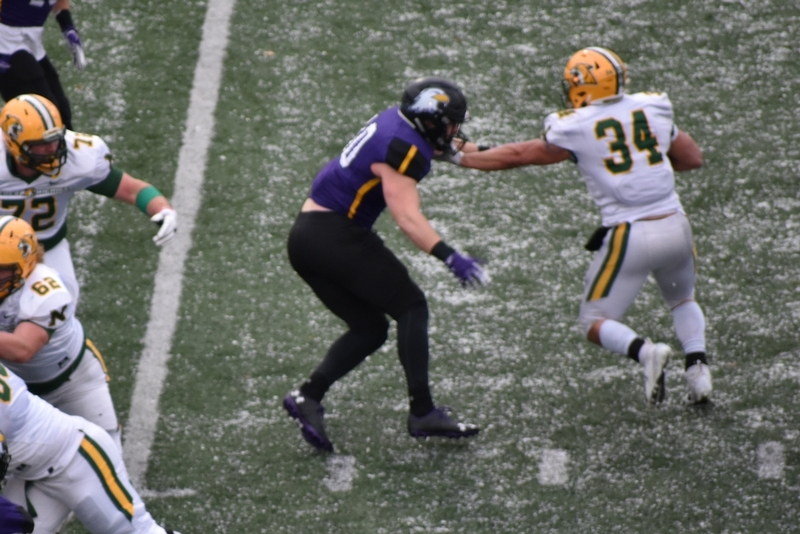 Isaac Darkangelo had another strong game on defense, leading the team with ten tackles (five solo). 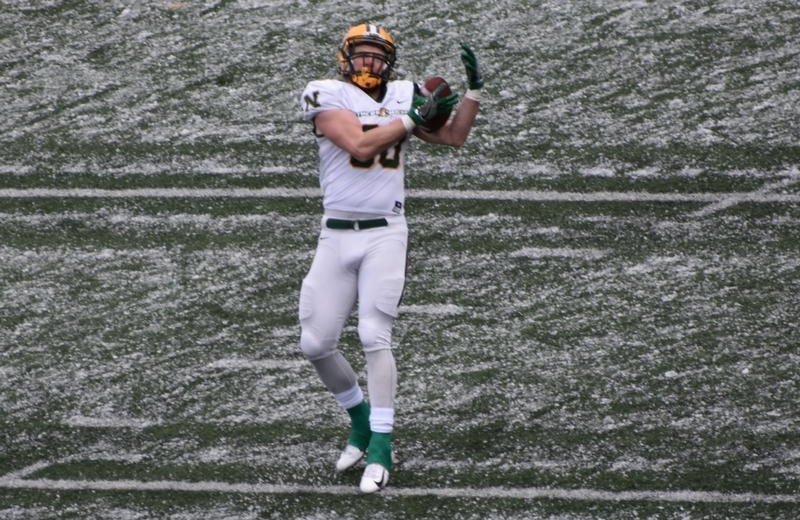 Brady Hanson had seven tackles ad he intercepted a pass. 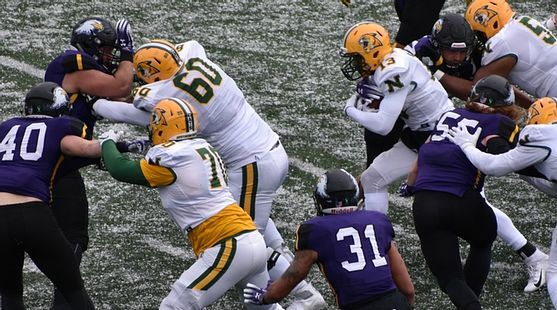 Austin McCarthy added six tackles in his final game as a Wildcat. Northern finished 3-8, with four of the losses coming by a combined 12 points. Nystrom says he’s already looking forward to next year. 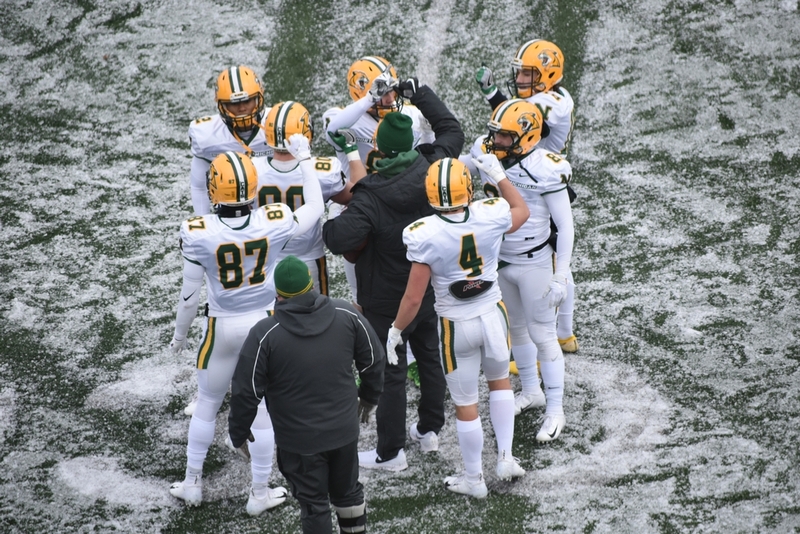 Click the thumbnails in the ARTICLE HIGHLIGHTS box above to see photos and videos, and listen to interviews with seniors Aaron Rochow and Josh Hafner, and to hear Coach Kyle Nystrom's post-game comments.